CYPRESS: Cypress essential oil is steam distilled from the leaves of the plant. It yields a woodsy refreshing evergreen aroma. Cypress essential oil soothes stress, promotes healing and relieves cold and flu symptoms. Cypress essential oil is steam distilled from the leaves of the plant. It yields a woodsy refreshing evergreen aroma. 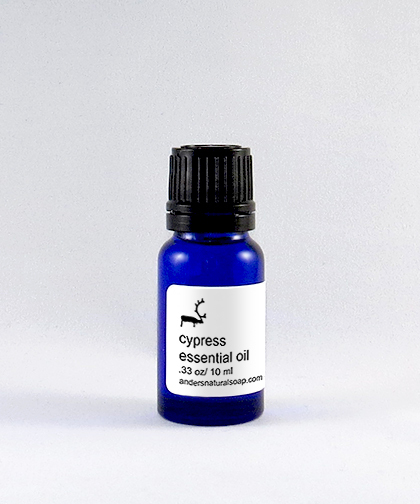 Cypress essential oil soothes stress, promotes healing and relieves cold and flu symptoms.